The Berwick Paisley Lined Layered Scalloped Valance features a zesty paisley pattern, which is done in a color palette of gold, orange, brown, and green. The scalloped bottom edges of the Berwick Paisley top fabric alternate with a underneath solid fabric in French Yellow. Fabric covered button accents add the perfect finishing touch. 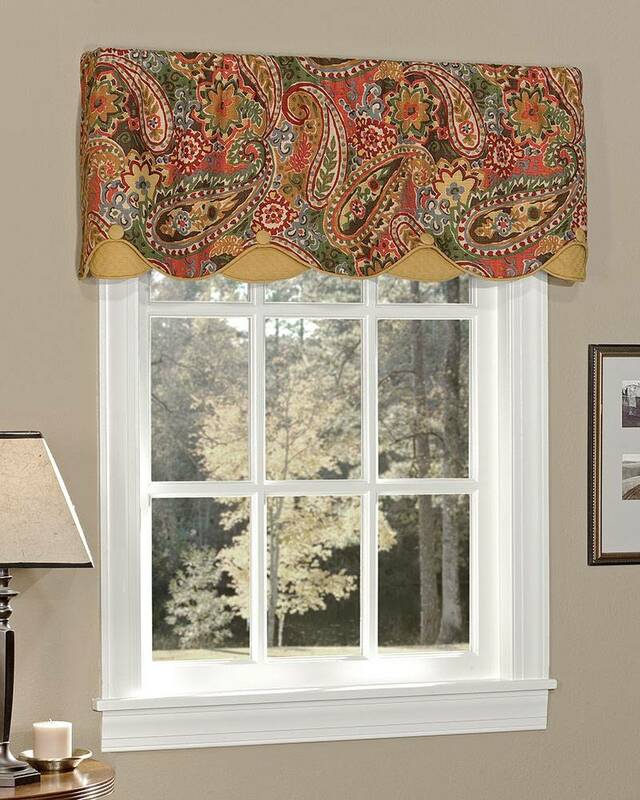 Fully lined, the Berwick Paisley Lined Layered Scalloped Valance is a Pretty Windows exclusive, made here in the USA.